Evolutionists will tell you that the fossil record is loaded with transitional forms. This is not correct. Some things with superficial resemblances are inaccurately foisted upon the public as "proof" and "transitional forms", but such things are missing. Especially among the invertebrates. More than that, there should be millions (or more) true, undisputed transitional forms showing the relationships between animal phyla are not to be found, and scientists are in disagreement about their relationships to one another. Creatures that we think of as "simple" have some very complex features. Not only is there considerable disagreement about their relationship to each other, but there is nothing in the fossil record showing how these complex traits supposedly evolved. 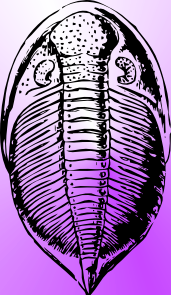 In fact, fossilized ancestors of many invertebrates show little if any appreciable differences from their modern counterparts. In their 2010 zoology text, evolutionists Stephen Miller and John Harley present a clear summary of the current state of animal classification. They maintain, “There is little disagreement among zoologists about the taxonomic classification of animals”. Creation biologists agree. We’re hardly opposed to “the taxonomic classification of animals” and find such grouping and ordering extremely helpful as we study God’s creation. We would hasten to add that the modern era of taxonomy was introduced by Swedish botanist and creationist Carl Linnaeus (1707-1778), who gave us the Linnaean system of naming plant and animal species. Miller and Harley go on to say exactly what creationists have been pointing out ever since Darwin: “Great disagreement exists, however, about how the animal phyla are related to one another.” The reason for this ongoing “great disagreement” is that the animal phyla are not related to one another in any Darwinian sense! In other words, what we see in the fossil record is great discontinuity among plant and animal groups—as predicted by the creation model—rather than the continuity evolution assumes. Occasionally, evolutionists protest that it would be extremely rare to find any soft-bodied creatures that would link groups together. But in recent years, more soft tissues in fossils are being unearthed. Impressions of soft tissues in sedimentary rock continue to be discovered and indicate that 1) soft tissue can be fossilized, 2) the process of fossilization must be quite rapid (as in a flood! ), and 3) these creatures have always been the same throughout supposed “geologic history” (with the possibility of extinction). You probably have enough backbone to continue reading "God's Amazing Invertebrates: The Missing Links Are Still Missing", here. What is the Best Way to Teach Science?